Good early morning from Atlanta! I’m an avid reader of DeltaPoints and a frequent Delta traveler. I’m currently sitting at the check in counters next to the main entrance baggage claim in ATL. It’s 2:30am. I am really tempted to make a video (however I don’t have the lip syncing skills like the guy from LAS)… and I’m in a work shirt and I don’t think my CEO wants the press, and I really enjoy being employed! I spend most weeks on the road, typically 3-4 segments a week, seeing customers for my sales job based out of Raleigh–Durham International Airport (RDU) . This week was a little atypical (but of course I have done it many times before). I scheduled a day trip down to FL to see a customer. A simple 2 up and 2 back. Most people think that is crazy, but I do it about once a quarter. The outbound was fantastic. Great early morning RDU crew, which is typical. Connected down to FL, had my visits, and headed back to the airport for a late departure. I was on the dreaded 11pm RDU flight out of ATL (for those that take it, you know what I am talking about!). I was making a quick pit stop at home in order to get up in the morning and do a quick direct trip to another customer site. Again another day trip (this time at least it was a direct flight), and yes, I am a little nuts, but that is life on the road. However, I like my nights at home now, and my fiancee appreciates them as well. As I approached the gate, I saw a few crew and figured we were good to go. As the inbound deplaned I noticed there was some sense of delay. We were missing a first officer. No problem. Happens a lot. I have a good friend that is FO that sits reserve in ATL. Pretty standard procedure here, right? No. Couldn’t find a replacement. Delay, delay, delay. All of a sudden we were showing departure at 12:35. I knew where this was heading. I asked the gate agent to page red coats, had the Diamond line on the phone, the works. This was about to get ugly. It happens, but come on guys, we are at the global headquarters! 3: help me with accommodations. They immediately tell everyone there are no hotels. I felt like I was sitting in the stands at the Brazil game the other day. We had kids crying, elderly ones upset, and passionate flyers ready to jump on anyone wearing Delta attire. I immediately stepped back, made eye contact with one of the red coats, and kindly reminded him about “taking care of me if he could.” ATL police were called in and for some reason at one point, we had a fire alarm going off. The gate agents wheeled over the drink/snack cart, and started the hunt for pillows and blankets. They also ordered McDonalds from across the concourse – noting it would be a few hours until the food arrived. You said, “McDonalds,” right? I made one last attempt before I left the stand, as I had listened to the many bloggers on BoardingArea about sticking with an agent and standing ground on your situation. At this point, the two red-coats had pulled a Houdini. I think there was a shift change. I told them the whole time, not their fault, but they slipped away and left me with a “red coat manager.” I won’t mention names here, as I will include those in my report to Delta. I asked for a toothbrush, etc. and the “manager” walked me over to a back room in the concourse and handed me a “SkyTeam” kit. I took a peek, not too bad. Before I walked away, I asked the “manager” about any meal vouchers and/or accommodations/vouchers for the situation. She claimed nothing was within her power. That’s when I pulled out the magical $10.00 voucher. Her face went blank. “Well, they will have to answer to me, then.” I responded: “No problem, I just wanted a little consideration for the situation and don’t appreciate being lied to about what can be done.” I asked for her full name, walked away, and headed down to the tram (which turns off in the early morning hours). I took my comments to Twitter. Rene responded immediately (I don’t think he sleeps! ), as well as Delta Assist. I have to give them both credit. I received responses immediately. I don’t know if Delta knows who I am, but they made an effort to apologize and credit my account with some miles. I appreciate the response, but it still doesn’t get me a place to stay. I’m typing this to you from the baggage claim at ~3am watching highlights of CNN. I’m tired. I’m in the same work clothes I put on 24 hours ago, and I still don’t have a resolution, and can’t find a room to save my life. Hard to believe the mothership sleeps at night. But then again, who am I to be a travel snob, there are 150+ people sleeping over at A7! Hope you all sleep well, I’m wired after those free sodas, and heated after my Delta/Marriott failures. I was really let down this evening/morning. – Goodnight from a quiet ATL! -Update: Made it through the night. After a recommendation from Rene, I was able to get through security just after 4am and made my way to terminal F.
Quick nap outside the SkyClub and was able to jump into a shower around 6am. Fantastic crew working the F club – all accommodating and apologetic for my situation. Great showers and felt a little better after finishing up. Oh my. Oy! Uh, thank you Matt for sharing? Respected consumer advocate Chris Elliott is someone who thinks everyone should be treated equally when it comes to air travel but I don’t think he had this in mind i.e. that all get to sleep in the airport. Did Delta do enough for Matt & his 160 fellow passangers? PS – If the poll does not work, try the one on the top right side on the blog. Still having some tech issues with the polls in a post! ← ALERT! Many Delta schedule changes today have loaded in 19JULY2014 – check your flights please! I’ve said this before, I’ll say it again. The only folks I know that love Delta are folks that live in one of their hubs, and Rene. Yes, EU rules are a bit more pro-passenger. Airline has to provide care (room, food and communication) and you could even get additional compensation. 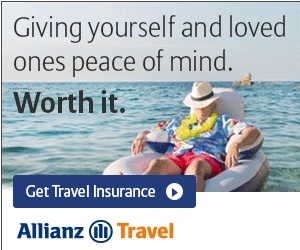 But, you can get get that with credit card travel insurance too. I have a question for you and your readers. I am about to become a Diamond Level Delta flyer by the end of July, and since learning about the Global exerts, I am anxious to book a trip to Singapore in Nov. with a return from Sydney at Christmas time. Once I checked the prices, I was in heaven–$1254 or thereabouts for a rt LAX to SIN and SYD to LAX. With the global certificates this becomes about $2,500 for two passengers. There is a god. However, read the fine print, Charlotte “available upgrade seats”. Going to Singapore is Nov is not a problem, but getting out of Sydney from 21 Dec (my earliest date possible to return) shows next to nothing using those three little words. When I quizzed the phone rep, I learned “sometimes they put upgrades back in inventory.” Really vague. Here’s my question . . . What are the chances? BTW, most of the business class seats are empty. In fact, most all seats are practically empty for the SYD-LAX nonstop during this Christmas period. Is it possible they only allow 2 seats/flight? I see at least one flight with only two seats blocked out. Is there anyway to figure out which are upgradeable seats from looking at a seat chart on delta.com? Appreciate any feedback that might help. Thanks, Rene. An avid follower. . .
@JohnSD I’ve said this before, and I’ll say it again. I love Delta (no airline is perfect) and I don’t live in a hub. I have to fly the BHM ATL segments virtually every time I fly. Even wih other airline’s non stops to IAH, MCO, DCA, ORD, etc. I still proudly jump over to ATL have a drink at the Sky Club, and walk my happy a$$ to my gate. just my .02, and I respect yours as well. @Charlotte N – so far space for GU certs has been great. If you have flexibility on what route or even 1 day sooner or later you should have no problem getting a confirmed upgrade seat. I am not a hub guy. I fly over 140 segments a year and like Matt no big deal to do the two segments to FL and back to TRI. Delta does more right things than wrong. I recently took my wife on a vacation trip and Delta greeted us in Lax where we had a long layover and escorted us to the skyclub and checked us in etc. Small things add up. In a tough industry they really try their best to get you where you need to go. Sorry you didn’t make a video. The LAS guy is a friend of my brother’s and he, his wife, young daughter and both sets of grandparents got to back to Vegas to see Celine’s show and get suits at Ceasers. They also got to spend one on one time with Celine where their daughter stole the show. She was heard saying “That’s my daddy’s song” when she sang All By Myself during the show. I had an issue with DL at Logan a couple of years back where they threatened to call the police on me, because I was asking too many questions when trying to get on a flight to JFK. I would have thought that Delta would have been required to take care of everyone as soon as it was determined that there no FO for the plane. I also thought it was their responsibility to feed and house us when the issue is not weather related. Although, interesting enough, they didn’t cancel your flight, just delayed it 8 hours. On a work question, without asking what company you work for in an open forum, do you know someone named Ramesh? I had to smile reading the post about not getting a hotel in ATL. My wife and I flew from PDX to MSP last month and we were supposed to catch our final connecting flight on Saturday night. The PDX flight had mechanical problems and we left PDX one hour late. The check in agent was great. He told us that we would have a hotel at MSP. We asked for a $100 travel voucher and got it. We thought all was set for us in MSP. Well it was not. Once off the plane in MSP we had our travel documents now for Sunday morning on a 7am flight. No problem there. However, we were then told by the gate agents, they were not doing hotels. A group of us had been told in PDX that we would have a hotel room in MSP. The problem is that all of the hotels were full due to a sports event. We were not told that by the gate agents. We were just told that they did not do hotels anymore. We asked for a food voucher for Sunday morning for our early flight, for we thought that if we did get a hotel, that we would miss the breakfast due to the early departure back to the airport. We were told that they do not do any more meal vouchers. There were no red coats there and since it was at 10 pm on Saturday night, we left to go and find a hotel to later learn that there were no hotels to stay in that night. After one hour of calling we finally called a co-worker at 11pm, who agreed to come and get us and also to take us back to the airport early the next morning. She was a godsend to us. I did write to Delta once I got home. We detailed the flight issues and who served us in PDX and at MSP. The airline could have told us about the problem with hotel rooms while we were in PDX, but they did not. We could have been told on the flight about no hotel rooms, so we would have had time to think about where we were going to stay once we arrived in MSP. They did not tell us anything until we got off the flight. The agents at the gate in MSP did not apologize for the inconvenience. Lessons learned were to make sure that a promised hotel was waiting for us. Besides writing to Delta where we did get an written apology, we also received an apology from the customer service supervisor that we talked to on the phone. They did give us each some additional miles for our trouble. Always have a back up plan on your mind if potential troubles arise, especially for late flights on Saturday night. @JohnSD Apparently every recent airline metric and business travel survey result disagrees with you ;). @George 63% of all statistics are made up.